A collaborative project between the World Bank Group – International Finance Corporation and the local Department of Trade & Industry (DTI) called the Logistics Efficiency Indicator (LEI) project measured the industrial performance of freight logistics companies in the Philippines back in 2016 and 2017. The LEI project used questionnaires to assess three key performance indicators (KPIs), namely cost, time, and reliability, to determine logistics efficiency. The LEI project also involved 160 countries to yield comparative data and find out which countries give the most satisfactory logistics services and which countries need lots of improvement. According to the article PH logistics survey finds reliability as key supply chain concern published by Manila Bulletin online, data from the 2016 LEI project results ranked Philippines at 71 among the 160 participating countries. The 2017 LEI project results, however, yielded that reliability is the area that needs a lot of improvement for the logistics company in the Philippines. As per the 2017 LEI results, 44% of the survey respondents stated that reliability is their main concern. Only 30% of the respondents think that improvements should focus on cost, while 26% think that it should be time. World Bank Consultant Dr. Ruth Banomyong suggested to create awareness of a well-developed logistics plan and recommended to support logistics outsourcing. 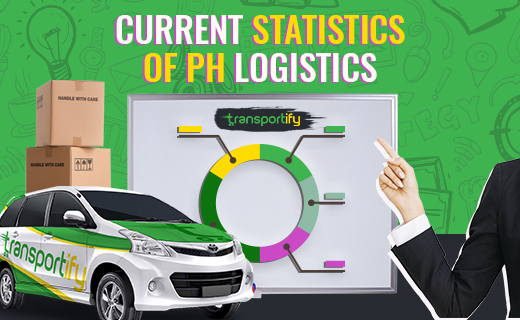 After all, a well-developed logistics plan could help in providing the Philippines with a much organized logistics industry, and freight logistics companies outsourcing logistics services from on demand delivery apps like Transportify Logistics could help make faster and more convenient package deliveries within the country. Moreover, increased competition in the local logistics industry increases performance quality of each courier service offering same-day delivery of parcels and packages. The more the competitors, the stricter the competition, the better the performance in reliability each delivery service provider will strive to give its clients. As of press time, the next LEI project results that would tell us if Dr. Banomyong’s suggestions have been fruitful can be expected around 2019, as DTI and World Bank are expected to conduct the LEI project’s survey every two years. The World Bank Group – International Finance Corporation, together with the country’s Department of Trade and Industry, launched the Logistics Efficiency Indicator project last 2016, measuring, comparing, and ranking 160 countries’ logistics performance based on cost, time, and reliability of local freight logistics companies. In line with the low ranking the Philippines gained after the project results were gathered, World Bank Consultant Dr. Ruth Banomyong recommended supporting logistics outsources like Transportify.